, our grudge matches play out across topo lines. 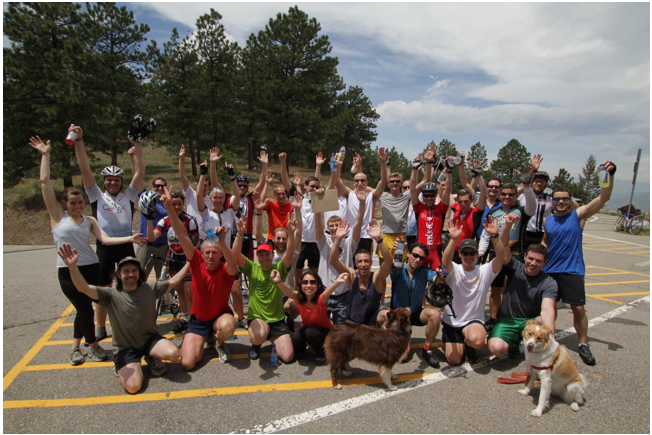 Last week, our third annual “Flagstaff Challenge” blasted off up Flagstaff Road, Boulder, Colorado’s signature hill-climb. Over 1,500 feet of elevation gain, the Flagstaff Challenge (mapped below) attempts to answer our office’s ultimate water cooler question – what’s really faster: two wheels or two feet? Bloggers in the office fired up Google’s KML Embed Gadget to cook up an embedded Google Earth course map (if the map below is not in 3D, try installing the Google Earth plug-in, then start embedding KML’s on your own site!). As our route map shows, Flagstaff’s paved switchbacks criss-cross its running trail all the way up to the finish point, making this slice of topography perfect for an office grudge match between cyclists and runners. While there was a good bit of trash-talking over GMail and in the halls leading up to the Challenge, Googlers generally prefer to let data speak for itself. Minutes after our team returned to the office, folks were already using Google Earth’s GPS tools to visualize tracks and dissect elevation profiles recorded on their My Tracks app or fitness units. And yes, a few folks from the Docs team even fired up spreadsheets to run statistical analyses on the finish times. After accounting for outliers (those un-named Geo folks who actually got lost! ), it turns out that there was no statistically significant difference between the cyclists and the runners. That just means our office feud will have to simmer for another year; enough time to sharpen our fitness and also the Geo tools we use to share and analyze our weekday warrior exploits! Most office rivalries rise to a boil at conference tables and water coolers. At Google’s Boulder office, our grudge matches play out across topo lines. 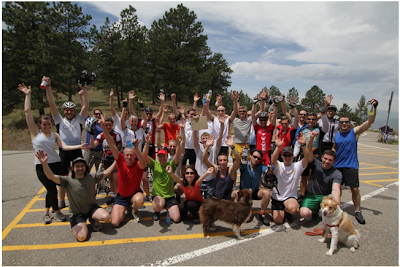 Last week, our third annual “Flagstaff Challenge” blasted off up Flagstaff Road, Boulder, Colorado’s signature hill-climb. Over 1,500 feet of elevation gain, the Flagstaff Challenge (mapped below) attempts to answer our office’s ultimate water cooler question – what’s really faster: two wheels or two feet?